This ballpoint features a unique illuminating imprint! 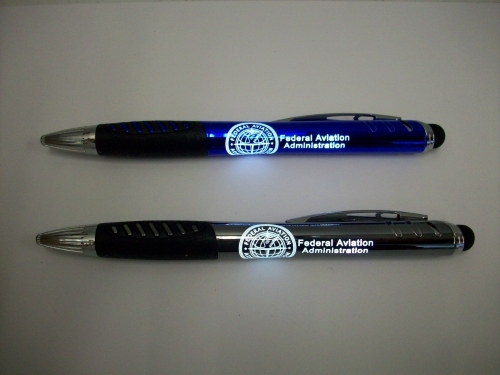 Laser engraved FAA logo on barrel lights up. Includes touch screen stylus and comfort grip. 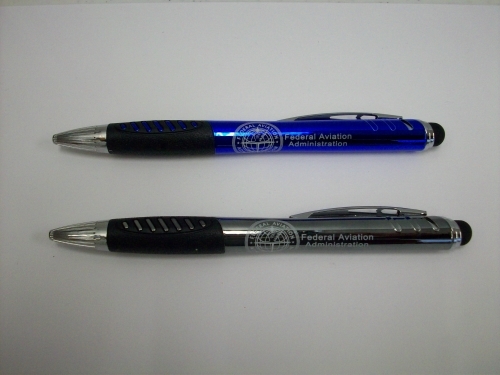 Comes in Sapphire Blue or Graphite Gray barrel with black ink.